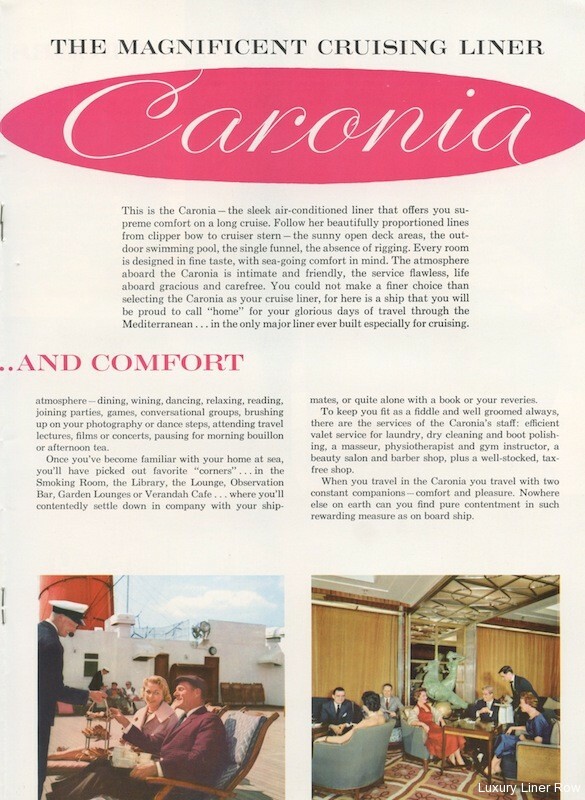 Cunard produced five styles of brochures for most of Caronia’s cruises — hardback booklets, soft-cover glossy brochures in full-color with inserted deck plans and full passage rates, fold-over non-glossy brochures with rates, standard rack-size brochures with rates, and small travel-agency style “flyers.” This is the glossy brochure for Caronia’s Spring Mediterranean Cruise of 1962 and includes its original inserted full deck plan. 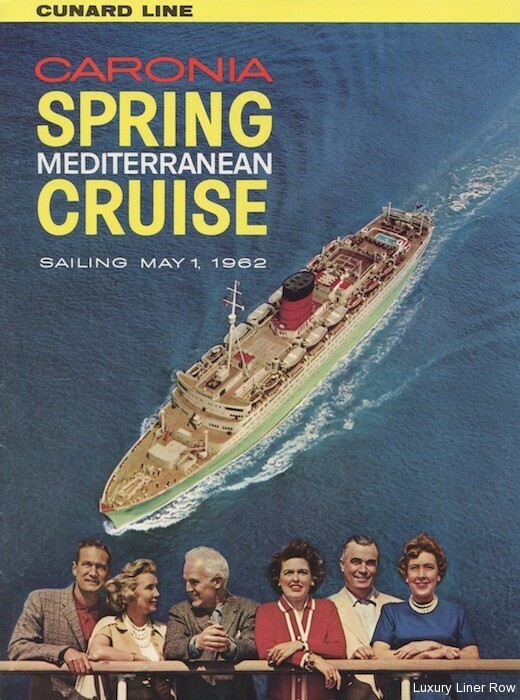 13 full-color glossy photos of her interiors and exteriors. 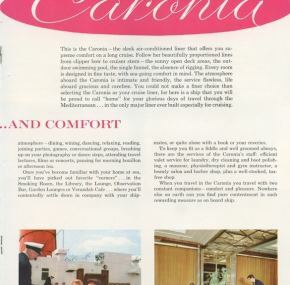 In excellent condition and showcasing one of the best covers that Cunard ever put together for a Caronia brochure. 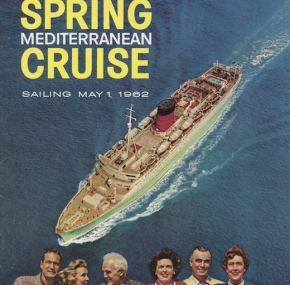 Buy it for the brochure but get the deck plan too!